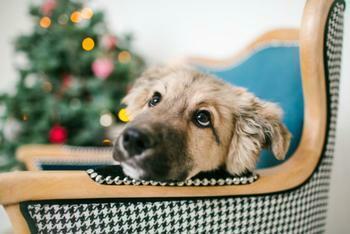 Pets belonging to Millennials may be in for a real treat (or several) this holiday season. PwC’s 2016 Holiday Outlook predicts Millennials will be more generous than other generations when it comes to shopping for their pets over the holidays. Consumers are expected to spend an average of $62 on their pets, but Millennials will shell out the most on their favorite furry companions. Pet-owning members of the generation will spend $81 each on their pets. How much will pet lovers in other generations spend? PwC's Outlook notes that Gen Xers will be almost as generous as Millennials, spending $79 on their pets this holiday. Families with children and singles will spend a little less on their pets -- $71 and $70, respectively. Pet owners now make up almost half of all households nationwide, and some pet owners will go to great lengths to spoil their beloved pets. As Millennials put off getting married and having children, their pets have taken center stage in their hearts and homes -- and, evidently, on their holiday shopping lists. But Millennials aren’t the only generation to consider their pets to be members of the family. Other generations of animal lovers are just as likely to consider themselves pet “parents,” rather than simply owners. The nation’s ever-increasing infatuation with its pets has been a boon to the pet industry. According to the American Pet Product Association (APPA), the pet business is projected to reach nearly $63 billion in 2016 (a 25% increase since 2010). What gifts will pets in the U.S. be waking up to after Santa has come and gone? With more retailers striving to cater to pets, the possibilities are endless. Department stores and beauty retailers are just a few of the places that have begun to offer gifts and experiences for pets. Shopping for pets is no longer a task to be completed exclusively at a pet supply store, but PwC predicts that everlasting treat balls and cat dancers will be sought after by many pet lovers this holiday season.